How Effective is a Birth Control Patch? Patches can be used without the constant worry of remembering to take it like with pills. The birth control patch may be as effective as birth control pills. The birth control patch has been shown to be as effective as birth control pills when used correctly. It is approximated that five to eight women out of 100 will get pregnant while on the patch, with the majority of the pregnancies occurring because of misuse of the product. When used as directed, they are about 99% effective. This method of birth control resembles a square adhesive bandage. The patch is placed on the skin during the first day of the menstrual cycle. A new patch is placed once a week for three weeks, then removed for one week, during which time menstruation occurs. The birth control patch works by releasing the hormones progesterone and estrogen into the bloodstream directly through the skin. These hormones have three effects, all of which prevent pregnancy when combined. The first is that it stops ovulation, or the release of the egg. The second is that it thickens the cervical mucus and slows sperm from entering the implantation area. Third, and most controversial, is that it changes the uterine lining to make implantation of a fertilized egg more difficult. As mentioned above, misuse of the product accounts for the majority of pregnancies while using this product. It is important for women to note all warnings and instructions for use on the product packaging, since there are a few basic rules to follow. There are several conditions that can naturally change the effectiveness of the patch. Women over 198 lbs (89.8 kg) are advised to seek other forms of birth control as it has proven to be less effective for those above this weight. Anyone taking antibiotics or other medications should be wary, as most other medications can interfere with the effectiveness as well. In order to be most effective, the birth control patch needs to remain on the skin. There needs to be no obstruction, such as lotion or makeup, between the patch and the skin. If the patch falls off, backup protection may be needed, depending on the length of time it has been away from the skin. When first starting with the patch, a woman should use for at least seven days as the hormones are not effective immediately. It needs to be placed on the correct day of the month, so the cycle beforehand should be carefully monitored. As with any method of birth control, its effectiveness is greatest when all the instructions and suggestions of a healthcare provider are followed. What are the Effects of Birth Control on Menstruation? 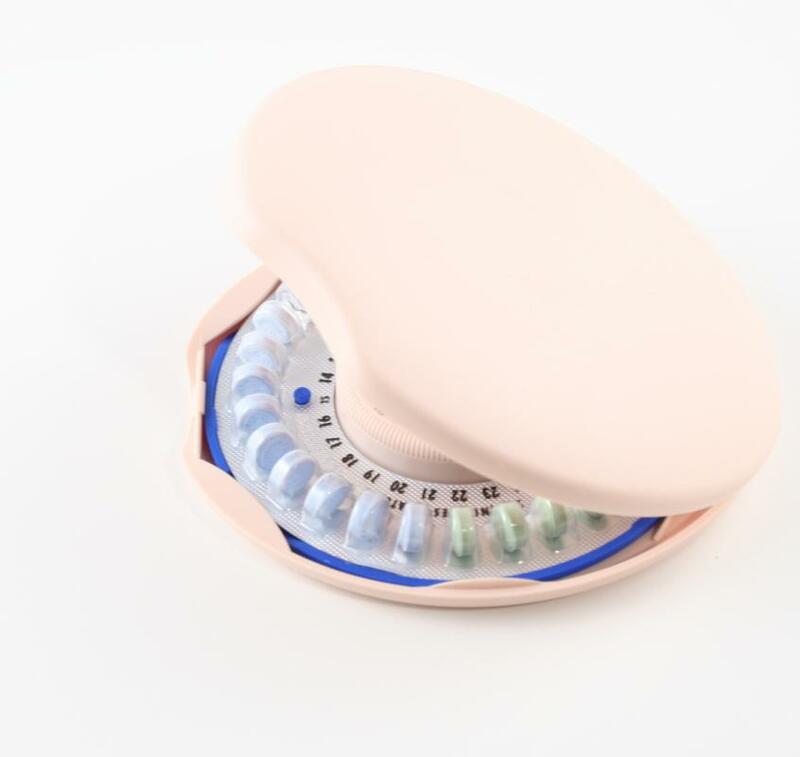 What are the Different Types of Non-Prescription Birth Control? What are the Different Types of Female Contraceptives? What are the Common Aviane&Reg; Side Effects? @jennythelib - First, I want to say that I am not a fan of hormonal birth control. Many women find that it is harder to get pregnant after they get off than the medical community would lead you to believe, and it just really monkeys with your body's natural functioning. When I went off hormonal birth control pills, my blood pressure dropped, my mood improved, and my resting heart rate slowed to something more normal. years on end is not really normal, either), but I would ask my doctor. Better check with your insurance company, too, as a lot of them won't pay for extras and the cost of the birth control patch is not insignificant. As far as side effects, they would be pretty similar, but there is some evidence that the patch (and other newer methods of hormonal birth control) might not be as safe as the pill - could come with a higher risk of blood clots, but the evidence is not super-clear either way. It's fo you to look into and see how you feel about it! I've been thinking of trying the patch because I have trouble remembering to take my pill every day. Are the side effects of the birth control patch pretty similar to those of the pill? Another thing I was wondering - I like to take my pills (with my doctor's approval) in three-pack cycles, so I only get my period every tenth week (I skip the placebo pills until I have finished nine weeks of pills). Can you do something similar with the patch? Can you just put a new one right on instead of leaving it off for a week?